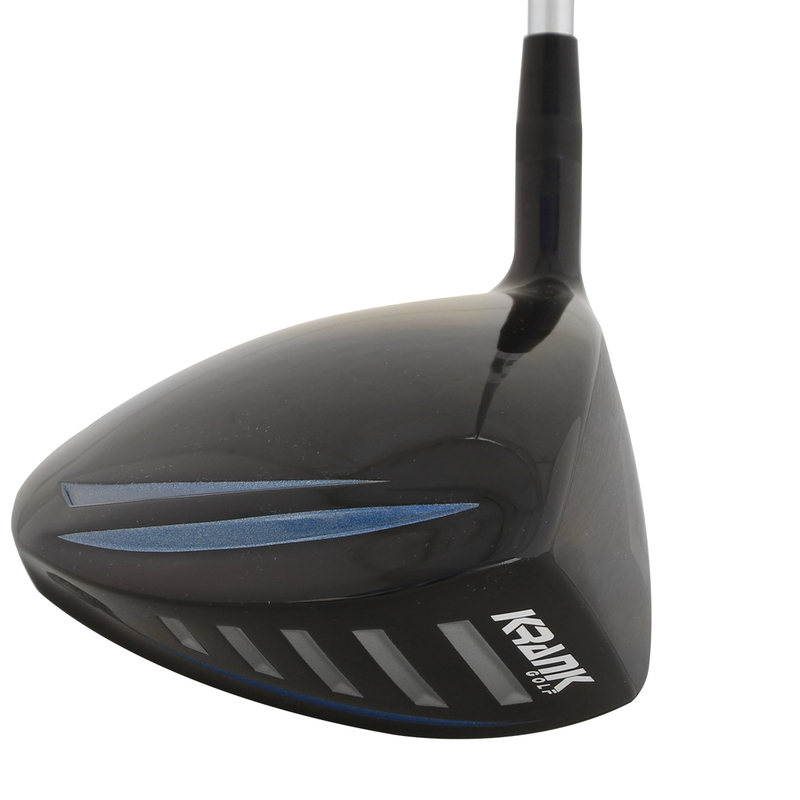 Hit the ball faster, longer and straighter with the revolutionary Formula 7 Krank Golf driver. 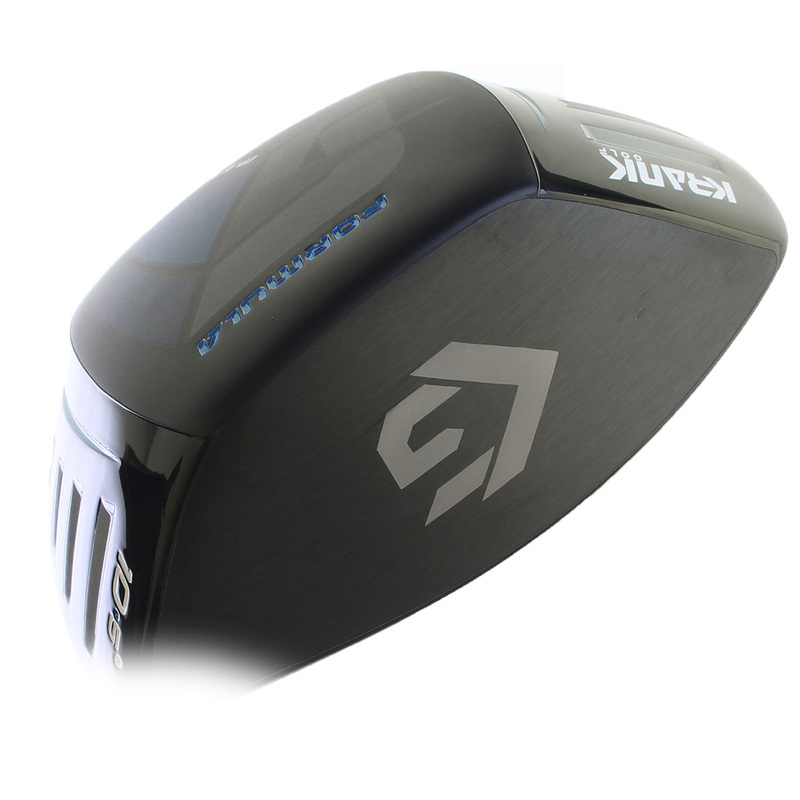 The driver is typically used in long drive events and has been setup with lower loft, longer shaft and speed enhancing head design, geared to hit the golf ball longer and straighter than ever before. The Krank Golf driver has been hand made, with a Deep Cupped face, that incorporates a new Ultra Hardened Beta-Titanium X2 with micro milling for maximum spring effect providing maximum ball speed velocity at impact. 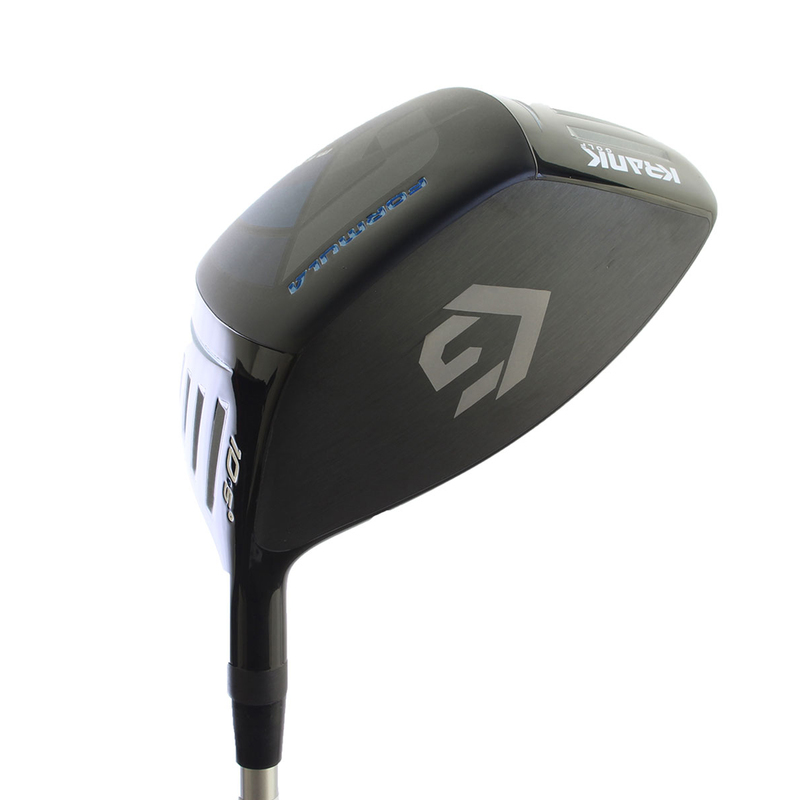 The driver also features a raised crown and sole for reduced body expansion, and has added louvers for increased stability, placed at both toe and heel. 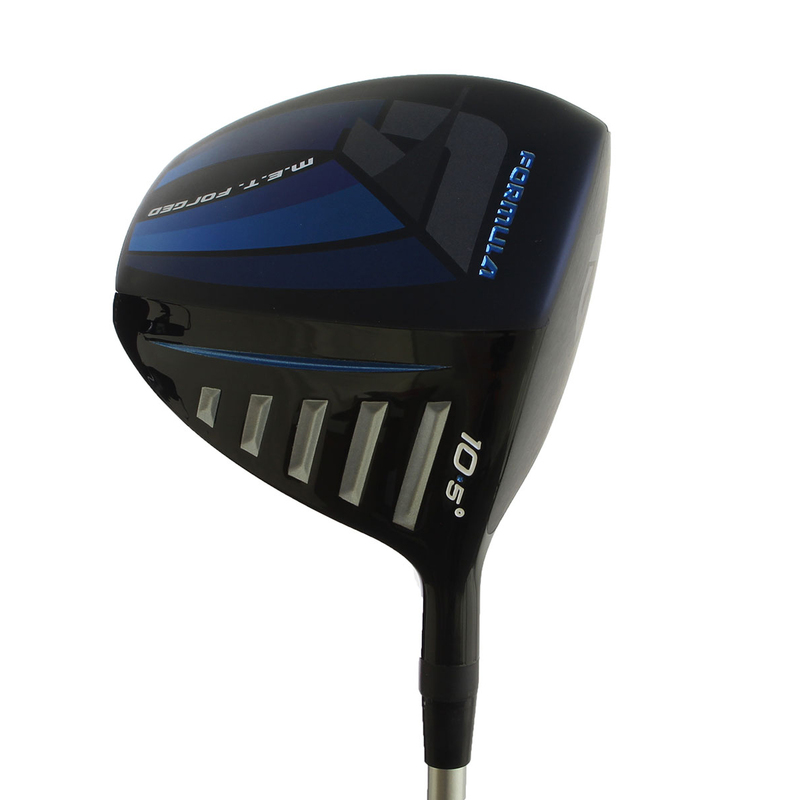 The driver has an extra long shaft and is USGA Conforming. 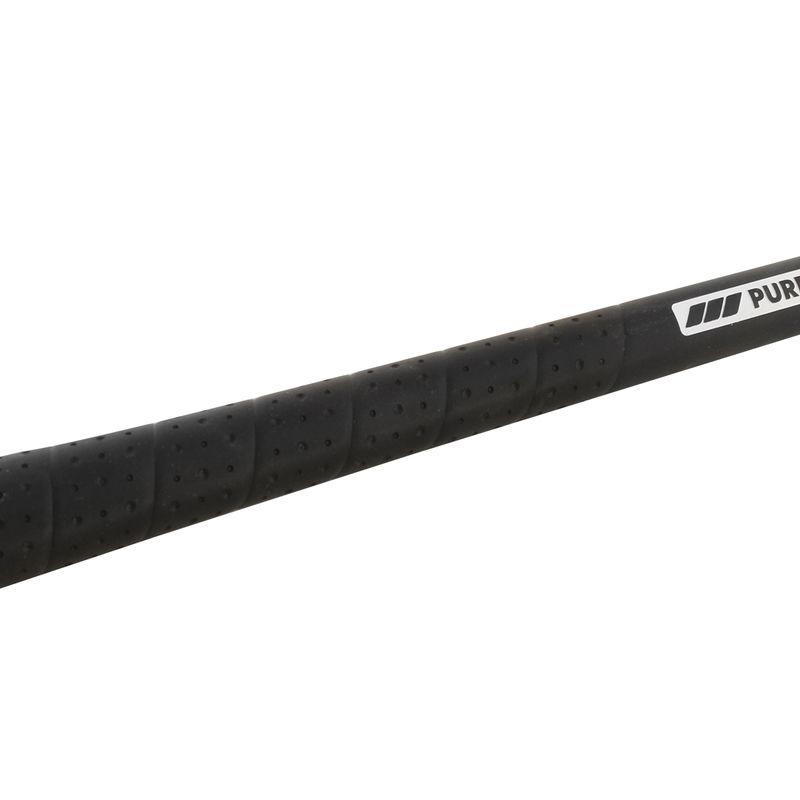 The Krank Golf driver comes complete with a matching head cover.